Category: Promotional Products. Sub Category: CORPORATE GIFTS. 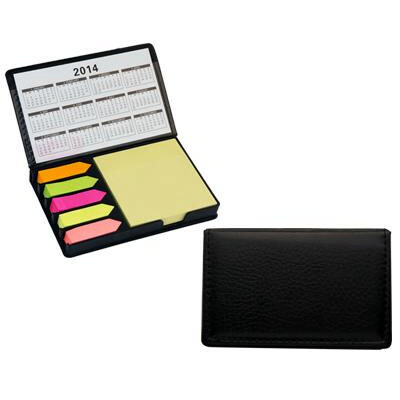 Features: Leather-look holder with notepad and sticky note flags. Packaging: Paper box. Decoration option: Pad print. Printing Size: 70mm x 40 mm. Carton Size(CM): 46x29x25. Carton Weight(KG): 14. Carton Quantity: 100. Colours: Black. Price includes : (1 colour/ 1 position).